A 3+ mile round trip on raised levees through a variety of habitats, including buttonbush thickets, native grasslands, valley oak riparian forest, cottonwood-willow riparian forest, tule marsh, valley oak savannah and several restoration projects. During the winter months, the natural flood cycle often results in complete inundation of this trail by floodwaters. A one-mile universally-accessible trail offering an up-close view of lush marshes, wetland plants, water-birds, insects, and amphibians. There is also a wooden boardwalk trail which is ADA accessible 1/2 mile round trip, meandering into the wetlands, with a viewing platform at the end. Both of these trails offer seats for resting along the trail. Starting at the Rancho Seco Recreational Area and winding around the north end of Rancho Seco lake, this trail is a 3.5 mile out and back trail. The scenery on this trail includes vernal pools, seasonal wetlands, riparian and marsh habitat, and dramatic views of oak woodland habitat and the magnificent Sierra Nevada Mountains. This trail is open from 7AM to 6PM and there is a $12 charge per vehicle. Specific information about and maps of this trail is available Howard Ranch Information. Click here Nature Trail Guide to view the printable nature trail map and guide. Cosumnes River preserve features a dock for you to launch your canoe or kayak from. The river offers excellent flat water allowing for excellent boating opportunities throughout most of the year. The Cosumnes is the last free-flowing river from the mighty Sierra Nevada Mountains into the Great Central Valley. Paddlers can enjoy a scenic glide through the river’s sloughs and main channel, crusing along riparian forest, oak woodland and through wetlands teeming with wildlife. Paddlers can launch their craft from a dock just south of the Visitor Parking Lot. Paddlers should park in the upper parking lot and also use this area to offload their watercraft and gear. You may access the boat dock by following the 200 yard cement path that begins at the northeast corner of the Visitor Parking Lot. Due to distance, paddlers are encouraged to use carts or wheels, which are available for lending at the Visitor Center. A paddling guide with map to the Cosumnes waterways is available Paddling Brochure, or you may pick up a copy at the Visitor Center. Within the Preserve, we have observed over 250 species of bird, 40 species of fish, 230 varieties of plant, and untold numbers of reptiles and amphibians. 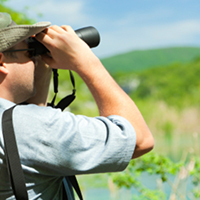 We provide a number of brochures listing the animals known to inhabit the preserve, along with their migration patterns, so that you can go bird-watching or animal-photographing and check each species off as you discover it. Quietly exploring the preserve with binoculars and a telephoto lens is a brilliant way to observe animals that can be exceedingly rare living wildly in their natural habitat. Take some brochures to guide you on your nature-watching trip! See The Cranes Brochure, birds of CRP, plants of CRP, tips for watching wildilfe. The Preserve’s Driving Tour has become very popular with visitors. The tour allows them see to the scope of the Cosumnes River Project by highlighting Preserve properties that aren’t open to the public. 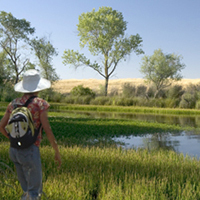 While the tour focuses primarily on the lower Cosumnes, it has optional Preserve destinations in the North Delta and base of the foothills at Howard Ranch. All of the driving is done only on the public roads. Brochures are available here. In general there is no hunting allowed in the core area of the Preserve because it is not compatible with our public use and wildlife protection objectives. Hunting and fishing are allowed on the river and in the sloughs, but hunters and fishermen must stay in their boats, there is no hunting or fishing from the banks. It is legal to fish or hunt from a boat in the river, a state navigable waterway, but only during the proper seasons and with the proper licenses. Much of the surrounding area that is not the Preserve is owned by private landowners, who control access. For several years we have permitted limited-entry waterfowl hunts for youth and mobility-impaired hunters at the 154-acre Cougar Wetland. These hunts generally have been very successful and we would like to continue providing this hunting opportunity at the Preserve. Check out the Bureau of Land Management or Department of Fish & Wildlife websites for other places that permit hunting. 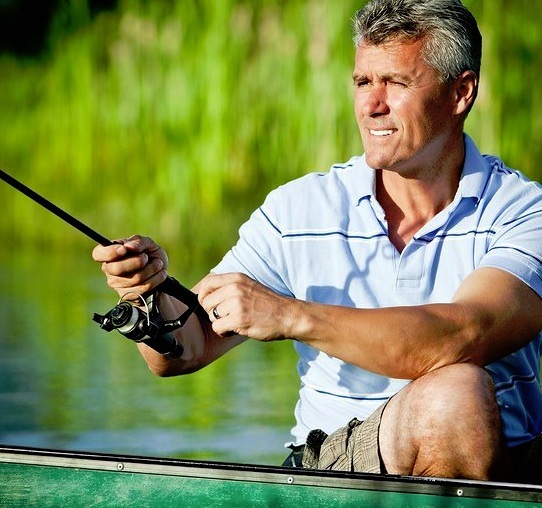 Fishing at the Preserve is allowed only from a boat on the waters of the main channel of the Cosumnes River and sloughs accessible from the Mokelumne River. No fishing from the banks, bridge, or along the roadway is allowed. Many field trips are held at the Cosumnes River Preserve each year, and we have a workshop program to help teachers give tours. Before bringing your class, you will be required to attend one of these teacher workshops, so we can show you how to conduct the reserve’s hands-on activities with your students and provide you with information about the wildlife, habitats and reserve history, including a trail brochure so that you can host your own walk. Our visitor’s center has a number of hands-on exhibits for children, and picnic facilities for sixty students. We offer curriculum s for Grades K-3, Grades 4-6, and Grades 7-12, as well as fun game sheets like word search, plant bingo and insect bingo. We recommend that all educators carry a first-aid kit and that each child bring a bottle of water. Once you have attended the workshop, field trips can be scheduled using this form. Our Next Teacher Workshop will be announced soon. 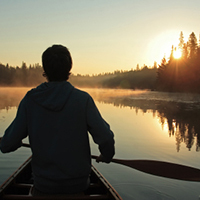 Participants will visit three different floodplains and explore the Cosumnes River by Canoe. For more details and to register visit please click the link below.